MAYBE the Boston Celtics could use a pep talk from the Super Bowl champion New England Patriots. Marcus Morris questioned the Celtics' toughness after they surrendered leads of 28 points to the Los Angeles Clippers and 18 points to the Lakers on their home court, dropping them to fifth place in the Eastern Conference standings. 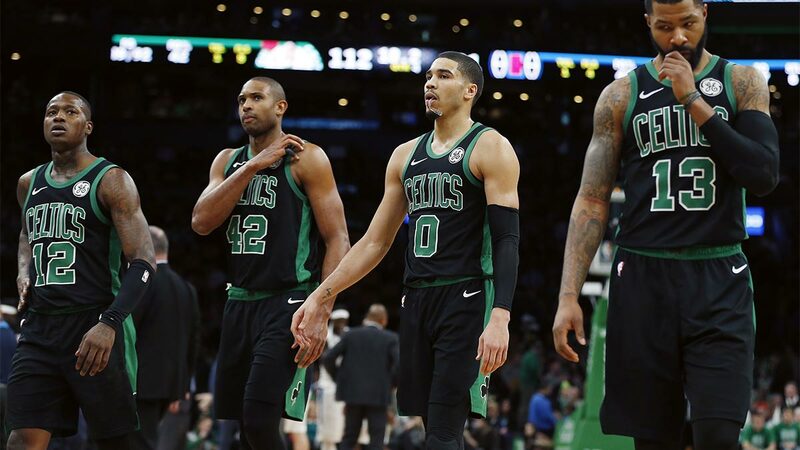 "We are going to lose games, but if we don't have no attitude and we don't have no toughness it's going to be a long season," Morris told reporters, including NBA Sports. Morris went on to say it's not been fun playing for the Celtics because they aren't acting like a team. "I watch all of these other teams around the league and guys on the bench are up jumping on the court and looking like they are enjoying their teammates' success, and they are playing together and playing to win," Morris said. "When I look at us, I see a bunch of individuals." Making matters worse, All-Star point guard Kyrie Irving sprained his right knee on Saturday night (Sunday, Manila time) and is listed as day-to-day. It's not the same knee that caused Irving to miss the last 15 regular-season games and all of the playoffs last season. As it works out, Stephen Curry and his younger brother Seth can share a cross-country flight back to Charlotte on Thursday for the NBA All-Star weekend. The Curry brothers face each other on Wednesday night when Seth's Trail Blazers host older brother Stephen's Warriors in Portland, Oregon. "I know he'll want to beat me," Stephen Curry said. Betonline.ag lists Stephen Curry as the heavy 11-4 favorite, followed by Booker, Buddy Hield and Seth Curry, who'll compete in his first 3-point contest.